You already take vitamins for the rest of your body, but so many of us forget about our precious eyes. The best eye vitamins are going to supply your eyes with the correct nutrients they need to stay strong and sharp. Your eyes are a little bit different from the rest of your body and therefore need specific nutrients to stay healthy. However, just because we don’t think of our eyes as one of the vital organs, like our brain or heart, they need still need nutrients to flourish. The best vitamins for eye health aren’t usually included in your daily multivitamin, so it’s important to get an additional supplement that will provide you with the right amount of nutrients. There are actually a lot of vitamins out there that can benefit our eyes. The best vitamins for eyes are going to include things like lutein, zeaxanthin, and vitamin A. Your eyes are a little bit different than the rest of our body, so they need some vitamins that are not usually included in the daily multivitamin that you currently take. Including some or all of these vitamins in a supplement can help to create healthier eyes! Many of these vitamins you will already be familiar with, but there are also a few that you don’t hear of very often. Vitamin A: Vitamin A often goes by another name—beta-carotene. This is the vitamin that is in carrots and other orange fruits and vegetables, so you may already get some of this vitamin in what you eat. When you have adequate amounts of this vitamin, it helps with night vision, which definitely gets worse as you age. Vitamin B: There are a lot of vitamin B vitamins, and they include B1, B2, B3, B5, B6, B12, biotin, and choline. This complex of vitamin B has been shown to reduce certain bodily functions, like inflammation, which helps with the retina. It can also help to keep your macula strong so it does not degenerate with old age. 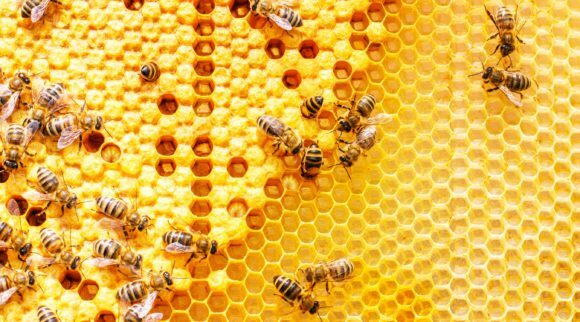 There has even been research that has shown that this vitamin B complex helps with uveitis, which can actually cause blindness in some individuals. Vitamin C: Everyone already knows that vitamin C keeps you healthy and can prevent you from getting sick. It’s a very powerful antioxidant that is in things like oranges and broccoli. However, it has also been shown to reduce the risk of a person developing cataracts. Cataracts are often found in old age, and they can cause a lot of problems with vision. There is surgery to remove them, but if you can prevent them, that’s the best course of action! Vitamin D: Vitamin D is what we get from the sun. Many of us are vitamin D deficient because we spend so much time indoors. During the winter, many of us are stuck indoors due to the weather, and we do not get enough time outside. Vitamin D deficiency has been linked to macular degeneration, so taking a vitamin D supplement can help prevent this. Vitamin E: In many studies vitamin E has been shown to reduce the risk of cataracts. This is why it is often included in the best eye vitamins. 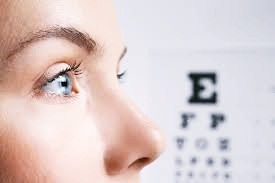 Lutein and Zeaxanthin: These two supplements are often included in vitamins for eye health because they have been studied many times in relation to macular degeneration. Since many of us are deficient in these carotenoids, it’s important to supplement or eat a diet rich in them. In some studies these were also linked to a decrease in cataracts, so it’s an important supplement to take. 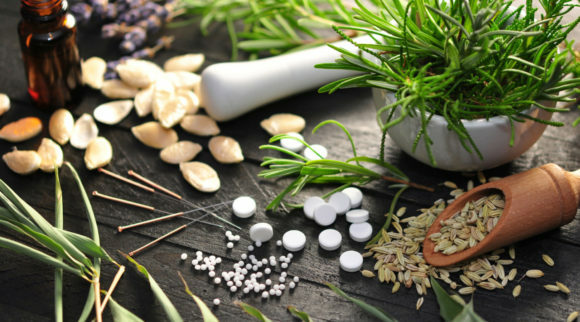 Phytochemical Antioxidants: You won’t find these in every eye supplement out there, but they will be included in some of the best eye vitamins. They are usually listed as ginkgo biloba and bilberry. These are both extracts that come from plants. They contain what is called phytochemicals. 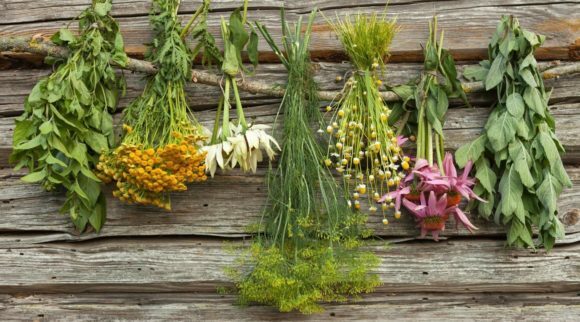 These phytochemicals has been shown to protect the eyes from stress. 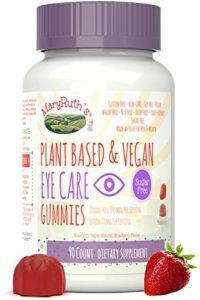 Click here for the most complete eye health vitamin we found with some of these phytochemicals in addition to lutein and zeaxanthin. Omega-3 Fish Oil: Fish oil is so important to be taking, but it’s also important for the eyes. Those who suffer from chronic dry eyes should find an eye vitamin that contains fish oil in it to protect against that. You can reduce chronic dry eye from the inside out, and taking fish oil can help you to say goodbye to eye drops for good. We are told every day how important a good diet is for us to have, yet many of us still eat badly. There is unhealthy food on every street corner, and with the stress we have at work, it’s easier to go out to eat than to pack something ahead of time. However, your diet plays a huge part in your eye health. The foods that you are eating could be harmful to your whole body, and this includes your eyes! If you cannot remember the last time you had a meal full of fruits and vegetables, then it has been much too long since you have eaten to fully nourish your body. A diet that is healthy for the eyes is plant-based. 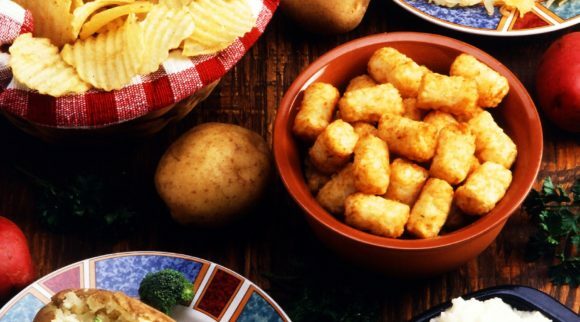 It focuses on lots of vegetables and fruits while being low in saturated and trans fats. Lean meats, chicken, fish, and different nuts and legumes can help your eyes. Also, focusing on leafy greens can be beneficial because they contain so many of the vitamins that are in the supplements created for eyes. It’s no surprise that our diet is the most important thing about keeping our body healthy. The foods we eat can either supply our body with good vitamins and minerals that we need or they don’t. The Western diet is often very low in the vitamins that we need, which is why many of us benefit from taking vitamins. And while you can certainly get some lutein and zeaxanthin in your diet, you probably are not getting enough right now. The four foods with the highest amount of lutein are kale, spinach, collards, and turnip greens. It turns out that your parents were right to force you to eat your leafy greens! If your diet is not rich in these greens on a daily basis, then you are not getting the correct amount of vitamins needed for your eyes. Your diet is so important because you get the most nutrients this way. Your digestive process can pull nutrients out of food much better than it can pull it out of vitamins, so it’s important to eat these foods if you want your eyesight to remain strong over the years. However, supplementing with the best eye vitamins can help you to get the correct dose you need if you are not getting it from your diet. What Are the Best Vitamins for Eye Health? Remember when your parents told you to eat your carrots because they are good for your eyes? Well, it turns out that they were telling the truth then, too! Carrots are high in vitamin A, which is essential for healthy eyes. The other two vitamins needed are lutein and zeaxanthin. Vitamin A works to help your retina and cornea whereas lutein and zeaxanthin work with the macula. All of these parts of your eye are essential to seeing better and having good eyesight. When searching for the best vitamins for your eyes, you should look to make sure that they include these in high doses. Will Vitamins Really Help My Eyes? Vitamins are important for many organs in your body, but can they really help your eyes? For whatever reason, it seems strange that taking something orally could actually improve the way your eyes function. However, vitamins will definitely help your eyes. Whether you suffer from dry eyes or bad vision, supplying your eyes with the correct nutrients they need improves their function. Lutein and zeaxanthin especially have been shown to cross what is called the blood-brain barrier. This means that the vitamins can reach your eyes and improve them from the inside out. Our bodies are amazing, but if we do not take care of them, they start to deteriorate. 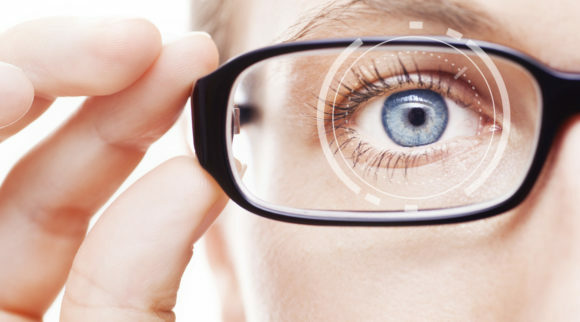 Your eyesight is arguably the most important function of our body. It’s how we see and understand the world, and if that were taken from you, it would be devastating. The thing about your eyes is that once they are gone, they are gone. It’s much like skincare. You have to start young and prevent the damage from occurring. Once the damage has become too severe, you won’t be able to reverse it. That’s why it’s so important to give your body the essential nutrients needed to help your eyes. Who Should Take the Best Eye Vitamins? Anyone who is getting older should take eye vitamins, which is everyone! As we age, our eyesight worsens. Those fine details that we used to be able to see when we were younger are now blurry and too small. Many people think that they will just pick up a pair of reading glasses and be fine, but it will only continue to get worse over time. Our macula, which helps us to see fine details, needs vitamins to stay strong. If you want to protect your eyesight from weakening, you must protect it by taking vitamins. Even if you have perfect vision now, you can still take eye vitamins. Again, prevention is key. So while you may not think you could benefit from taking them right now, they can help you out in the long run by protecting your eyes from further damage. Adults who are healthy and have no medical problems should not hesitate to take eye vitamins. They can improve the health of your eyes and help you to see well. If you wait until your eyesight has gotten severely worse to take eye vitamins, you won’t benefit nearly as much as if you would have taken them when you first saw a decline. No matter what your eyesight is like right now, you should immediately start taking eye vitamins. There isn’t anyone who will not benefit from getting the correct amounts of lutein and zeaxanthin. 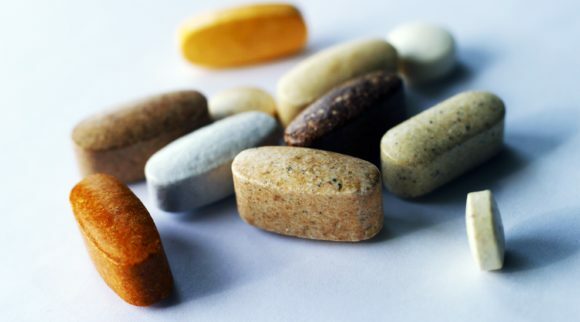 If you take a look at the multivitamin that you are already taking, you may have doses of eye vitamins in there. Vitamins like A and C can both benefit your eyesight, and they come with daily recommended doses because they help other parts of your body too. 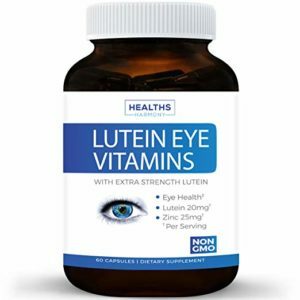 Unfortunately, there are no daily requirements for lutein or zeaxanthin, so most vitamins do not contain these. If you find that your vitamin doesn’t have any of these important eye vitamins, it’s time to supplement and purchase one specifically for eye health. There are many different types of vitamins that you can take. Some people do well with one whereas others may benefit from a different approach. When it comes to eye vitamins, you should decide of the type of vitamin based on what you are most comfortable with currently. One of the best eye vitamins comes in a large pill. For those who do not have any problem with swallowing large pills, this option would be fine. If you struggle with swallowing pills of any size, this would not be the right type of vitamin for you. Another option is soft gels. Soft gels are easier to swallow because they glide down the throat easily. However, soft gels can still be quite large. It’s important to check the size of the soft gel before purchasing if you do not like swallowing pills. Finally, there are gummy vitamins that can be taken. Gummy vitamins are perfect for anyone who does not like swallowing pills and would rather chew their vitamins. Plus, gummy vitamins can be easier for your system to break down and digest. The downside to gummy vitamins is that they sometimes come with an aftertaste that can cause an issue with some people. The best type of vitamin will be the one that you can easily take each day. If it is a struggle every day to take the vitamin, it’s going to be a lot harder to stick with the regimen. Check the expiration date on the bottle. You never want to buy an expired product or something that will expire while you are finishing the dose in the bottle. Make sure that the seal on the bottle isn’t broken. It’s important to remember that if the seal is intact it means it has not been tampered with. Look to see whether or not the product is organic. It may cost a bit more if so, but usually the supplement is better quality and you can absorb it easier. Vitamin quality is a major concern, so make sure that you are buying from a company that is reputable and located within the United States. It’s important for the quality to be checked throughout the manufacturing process, and that’s harder to do when the company is outside the United States. Because most eye supplements contain some form of Omega-3 fish oil, it’s important to read the label and see how the fish oil was processed. It needs to have the contaminants, like mercury, taken out of it for the best quality. 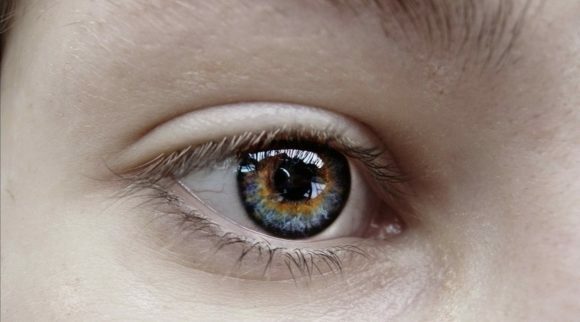 Your eyes are among your most important organs. Let’s face it; it’s pretty typical for your eyesight to worsen as you get older. However, so much of this is because we are not supplying our body with the correct vitamins for eye health. The best eye vitamins aren’t always available in the foods that we eat every day. Because of this, our poor eyes suffer. They get even worse because all of us are constantly staring at screens. Between our work computers, laptops, cell phones, and TVs, our eyes are straining all day long. 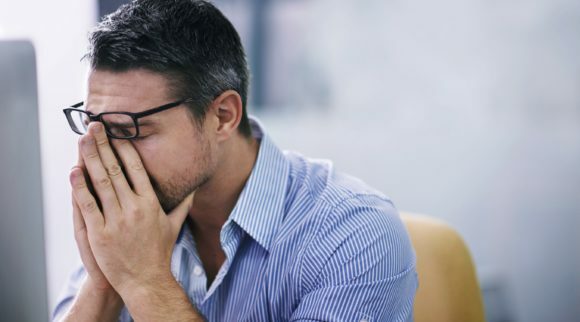 There are ways to help reduce the strain your eyes get from these screens, but if you are not supplying them with the right vitamins to help stay sharp then it is useless! Your eye health shouldn’t be rocket science, and it doesn’t have to be thanks to the Heyedrate Omega-3 vitamins. You’ve heard it time and time again that Omega-3 vitamins are important. They are even more important for your eyes. One reason why these eye vitamins are so amazing is because they are affordable. There are no unnecessary filler ingredients, so the ingredients they do contain are ready to pack a punch when needed. 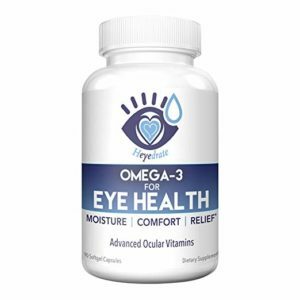 These eye vitamins are filled with Omega 3, Omega 7, and other powerful antioxidants that are going to get your eyes the nutrients that they need. If you suffer from dry eyes and have tried every eye drop out there, you’re not alone. These vitamins can actually help dry eyes because they will nourish them from the inside out. With their anti-inflammatory ingredients, you could be saying goodbye to dry eyes for forever. The worst part about taking fish oil is that it often leads to some unpleasant gas and burping. This is not only revolting when it happens to you, but it can be pretty embarrassing if you are around other people as well. These soft gels were made so that they will not cause any fishy odor or burps. Plus, they are easy to swallow and much smaller than other fish oil pills out there. These vitamins truly have everything you need for your eye health. The main ingredients include, 515mg EPA, 415mg DHA, 40mg Omega 7, 50 IU Vitamin E, 100mg Vitamin C, 10mg Vitamin B-6, 20mg Magnesium, and 10mg Lactoferrin. 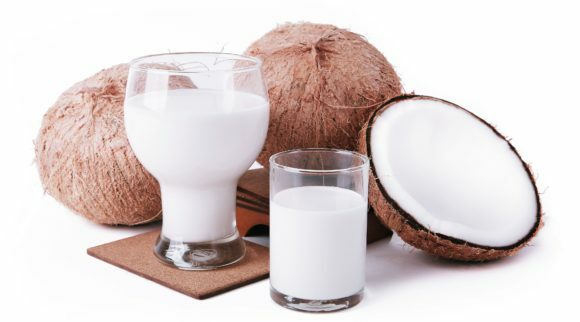 These are ingredients that have been proven to work in keeping your eyes strong and healthy. Whether you have been experiencing a lot of eyestrain lately or you’re just getting older, these are some of the best eye vitamins you can get on the market. It’s true that there are a lot of fish oil supplements out there that you can choose from, but none of them are formulated with the ingredients that this one is. It’s made especially for those who are suffering from dry eyes. If you have been having an issue with dry eyes lately, we highly recommend you get this product. Some of us may have been blessed with perfect vision, but many of us were not. Even if you were blessed with perfect vision, age has a way of getting in the way of your eyesight. Unfortunately, it seems that everyone’s eyesight goes at some point. With the amount of time we spend in front of screens, it’s only a matter of time before your vision is going to go. There is a part of your eye called the macula that helps us to see. It also helps our brain to recognize things. So, this is the part of the eye that is going to help you remember people and learn to read. It also helps you to drive and see other fine details. It’s a very important part of your eye, and imagine what would happen if you suddenly couldn’t see all those fine details! If you do not take care of your macula, it might not be long before it starts failing. This supplement is designed to cross the blood-brain barrier and help your macula. 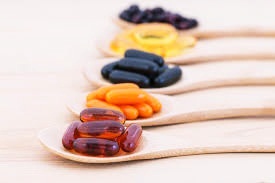 The best vitamins for eye health are going to include antioxidants and minerals that will nourish the eyes. 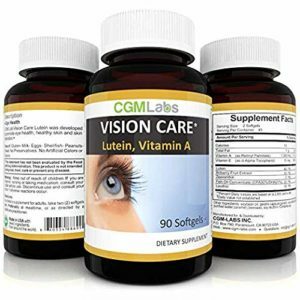 The main ingredients in this product are lutein, zeaxanthin, and astaxanthin. All three of these antioxidants are going to help keep your vision strong. Because your eyes will degenerate over time, it’s important to start taking eye vitamins as soon as you can. The earlier you start them, the more prevention you can do. Even if your eyesight is perfect now, it isn’t going to be perfect when you get older. By taking eye vitamins, you might be able to help your eyes stay young longer. The most important ingredients in this product are Vitamin C 500mg, Vitamin E 400 IU, Zinc 40mg, Copper 2mg, Selenium 50mcg, Vitamin B-6 20mg, Folate 200mcg, Lutein 10mg, Zeaxanthin 2mg, Bilberry 25% 15mg, Alpha-Lipoic Acid 20mg, Grapeseed Extract 20mg, and L-Glutathione 10mg. Sometimes, more does not always mean better. This is especially true with vitamins. Those who are not careful will find that vitamins contain too many active ingredients that clash with each other and can actually do more harm than good. It’s important to get the best eye vitamins, but it’s also important to make sure that the vitamins are natural. These vitamins come packed with a high dose of lutein, which is essentially the most important vitamin that you can take for your eyes. It can help strengthen your vision and keep it from deteriorating, which is something that all of us will benefit from. Healths Harmony creates their vitamins with the healthiest of ingredients that are all natural. There are other ingredients in this vitamin, which includes vitamin A and zinc, but there is not a long list of 20+ vitamins that you can’t even pronounce. 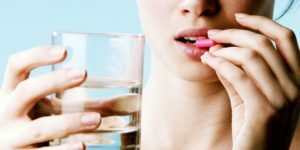 You can feel good about taking this one because there is an added emphasis on the importance of the vitamins that are included in the pill. If you are worried about whether your vitamins are natural, you should go with this product. 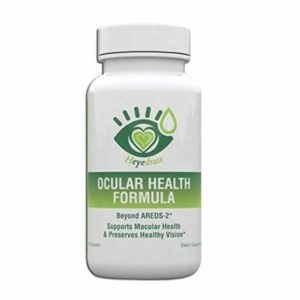 It has the best natural ingredients and herbs that work together to help keep your eyesight from deteriorating. With so many vitamins out there, how do you know which are the best vitamins for eyes? It’s obvious that lutein might be the most important vitamin that there is for your eyesight, so why include other ingredients that are not as potent? This vitamin has one of the highest doses of lutein you will find at 40 mg. It is paired with vitamin A so that you can get the best vitamins for eye health. These soft gels are really easy to take because they are fairly small. Even those who struggle with swallowing pills most likely won’t have an issue with these. Because you are probably not getting enough lutein or vitamin A in your diet, it’s important to supplement with these so that you are not losing your eyesight as you age. CGM-Labs is a really good brand that has created vitamins for eyesight for years. With years of experience, they are constantly redoing their formulas so that they are providing the best vitamins for eyes to their customers. For those who want a supplement that isn’t filled with a bunch of ingredients, we recommend you purchase this vision care vitamin. When you are taking a long list of vitamins for your health, you get sick of swallowing big pills. And sometimes, we can’t even swallow pills at all. That doesn’t mean you have to give up on the best eye vitamins completely. You should be able to get good quality vitamins without having to worry about your ability to swallow them. Thankfully, there are chewable gummies that you can take. What’s interesting about this brand of vitamins is that they are not pills to swallow and they are sugar free. The gummies taste really good, much like a fruit chew, but you don’t have to worry about them affecting your health negatively since they are sugar free. They have ten calories per serving and are completely non-GMO, gluten-free, wheat-free, yeast-free, paleo friendly, celiac friendly, and contain no nightshades or gelatin. 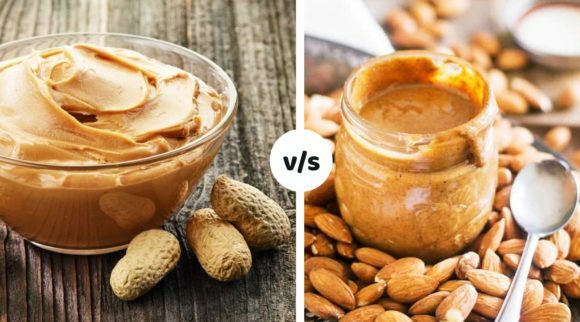 No matter what your health preferences are, these are pretty easy for them to fit in. The base of this vitamin is organic, so you can feel good about taking it. With 500 mcg of zeaxanthin and 10 mg or lutein, you are getting a good size dose of the best vitamins for eye health. Also, the strawberry flavor tastes great. For those who cannot swallow pills or want to try a gummy, this is the brand we recommend you get. AREDS, or Age-Related Eye Disease Study, was a study done by the National Eye Institute. What their research found was that high doses of certain vitamins could help to reduce vision loss from the deteriorating macula. Your macula degenerates as you age, but giving it the proper antioxidants and vitamins that it needs can help to slow the progress. The high doses of antioxidants that they studied were vitamin C, beta-carotene (vitamin A), vitamin E, fish oil, lutein, zeaxanthin, and zinc. 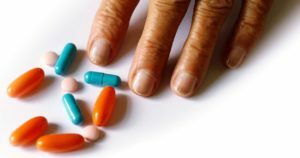 The AREDS study found that these vitamins helped to slow the progression of the deteriorating macula, especially when it was in the intermediate or advanced stage. 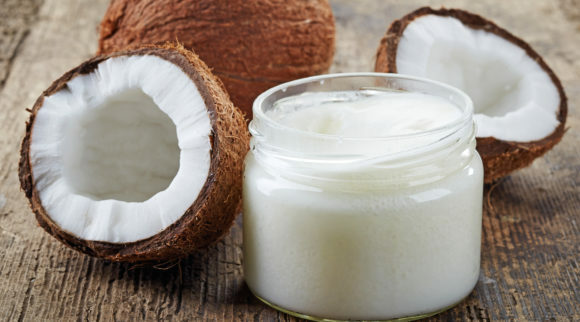 It also helped the issue of chronic dry eye, which is something that many adults suffer with because they are not getting enough of these vitamins in their diet. Lutein and zeaxanthin work by protecting your eyes from the light waves that we see on a daily basis. While the sun is needed for our Earth to work, it also is very hard on our eyes. Those ultraviolet rays that we see every day are harmful to our retinas. Researchers found that when there was a high amount of lutein and zeaxanthin in eyes, the damage from ultraviolet sunrays was far less. It also helped to increase dim light vision and decrease the issue of glare. Generally speaking, vitamins are considered relatively safe to take. However, there are some risks that are associated with any vitamins that you take. Because the FDA does not regulate any of the vitamins, they do not have to prove that they are safe or effective to go out on the market. It’s important to always read the labels to know what is included in the vitamin. Those with food sensitivities may find that there are a lot of supplements out there that they cannot have. 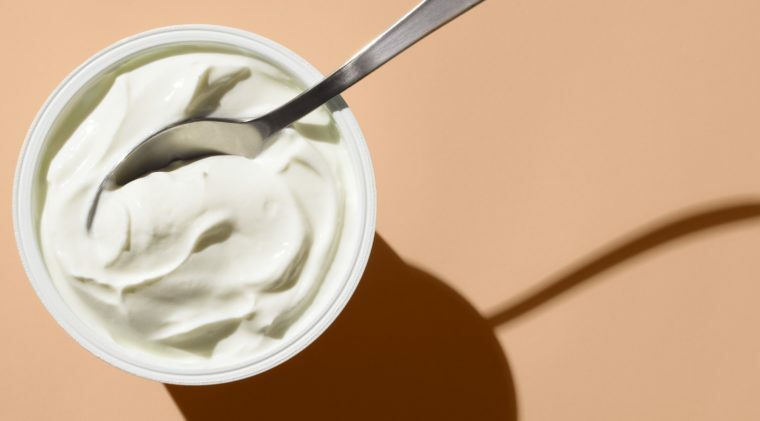 Filler ingredients, like dairy, wheat, and corn, often cause inflammation issues with those who have food sensitivities. This is a side effect that could happen by taking the best eye vitamins. Another side effect of these vitamin mixes is that they can turn your skin slightly yellow. Around 20 mg of lutein is considered to be safe to take on a daily basis, but if you notice that your skin is yellowing, take a break from the vitamins. Beyond these small risks, you shouldn’t incur any other side effects. If you are not one who regularly takes vitamins, you should still consider taking one for your eyesight. You cannot take a vitamin and expect for the rest of your diet to not count for your health. But, taking a vitamin can help to make up for what you are missing in your diet. It’s important to first change your diet if you want healthy eyes. Focus on whole and unprocessed foods instead of the high-calorie foods that are available at fast food restaurants. Vitamins only work if you take them on a regular basis. Taking a vitamin once or twice is not going to help you, so make sure that you set up a routine. Those who are not used to taking vitamins could benefit from putting them in a pill container and setting a reminder on their calendar. However, if you already take vitamins it should not be hard to add one or two more into your routine. With something as important as your eyes, you should not take it lightly. Look for the best supplement for you. That means it is going to have all the ingredients that you want and will be easy for you to take. Some supplements require one pill a day where others may require two. If taking one pill is easier for you to remember, choose a supplement that only requires one a day. And if swallowing pills is hard for you, choose a gummy vitamin. The best eye vitamins will depend on you as a person. What works for one person may not work for another. While the above recommendations and information should take most of the guesswork out of choosing the best vitamins for eye health, each individual person is different. 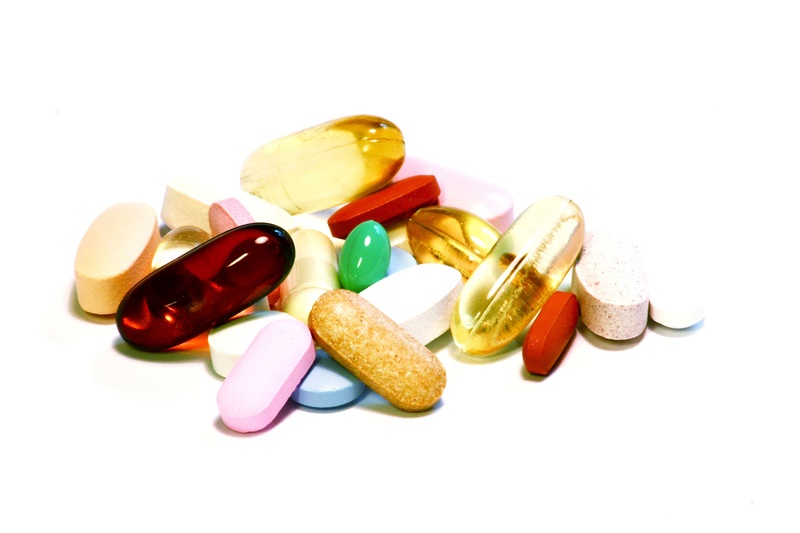 You should always check with your doctor before adding in another supplement that you are unfamiliar with. This is especially true for those who are breastfeeding or pregnant. Once you get the approval from your health professional, find the best eye vitamins for you. Whatever one you pick, we know it’s going to help your eyes stay healthy and strong.